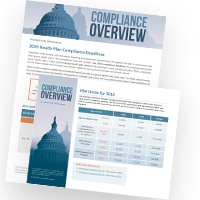 With continuous legislative changes to employee benefits and a growing desire to facilitate employee wellness and retention programs, it is crucial to stay up-to-date on industry news and initiatives. We encourage you to take advantage of one or all of our employee benefits campaigns. Whether it’s a simple monthly wellness newsletter, timely articles offering advice on meeting your compliance obligations, or engaging videos and infographics to share with your employees, our variety of employee benefits campaigns are available to all members of your team, so that you can stay focused on running your business. 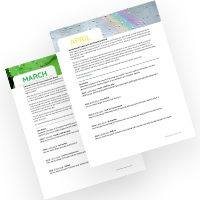 Monthly legistlative brief intended to educate on various legal or compliance topics. 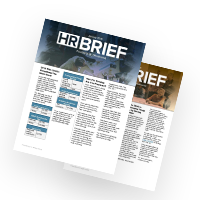 Monthly newsletter that features two short, easy-to-read articles on timely HR topics. 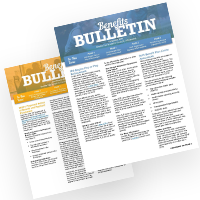 A quarterly newletter that covers in-depth and timely benefits topics. Distributed in January, April, July, and October. 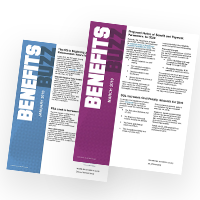 This newsletter features two brief articles on hot benefits topics. 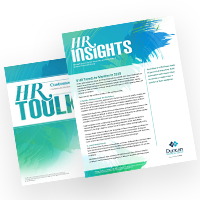 Stay informed and save time with monthly newsletter covering a variety of HR tools and topics. This monthly distribution features topics like health, wellness, fitness, nutrition, and personal finances. 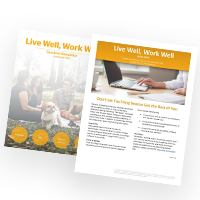 Each month, this campaign provides a schedule of national health observances and includes a Live Well, Work Well flyer that discusses on of the observances for that month. 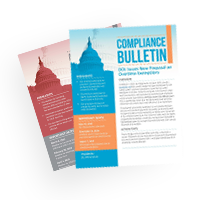 This monthly campaign distributes a legislative brief intended to educate on various compliance topics that affect HR. Sign-Up Your Team For One of Our Benefits Newsletters or Contact Us for More Information!